Kathy Kelley :: artist + writer + neophyte scholar + renovator + puppy walker. Kathy Kelley, mid installation break, 2015.
athy Kelley (CV) is a doctoral student in Fine Art: Critical Studies and Artist Practices at Texas Tech University and is a practicing artist. She is involved with interdisciplinary research exploring the possible functions of the writing practices of visual artists who are prolific in art production, recognized in the art world as seminal and sustain their art making practice throughout their lifespan. Academically she is a recipient of the Helen DeVitt Jones Art Artistic Merit VPA Scholarship, CH Foundation Graduate Fellowship, TTU VPA Designated Scholarship, and a TTU Presidential Doctoral Exemption. 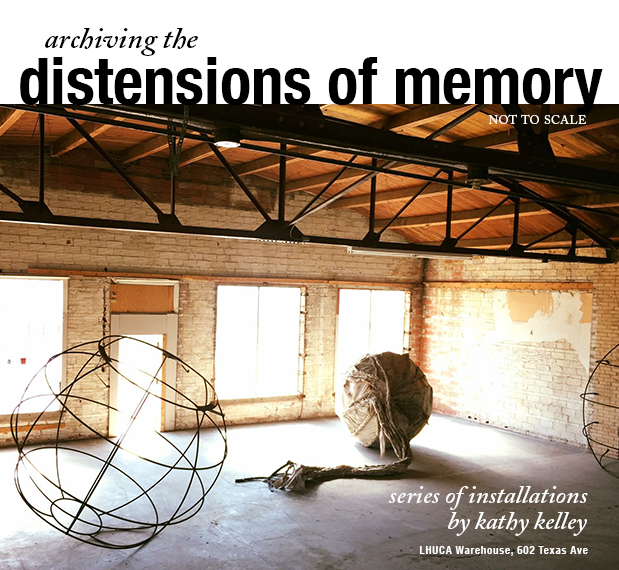 Kelley’s research interests arose from within her own art practice, involvement in the Houston art community, and her instrumental role in developing and implementing a contemporary art foundation program, WASH [Workshop in Art Studio + History], at Sam Houston State University. She has been selected and participated in several Integrative Teaching International ThinkTanks on contemporary pedagogical practices in collegiate art foundation programs. 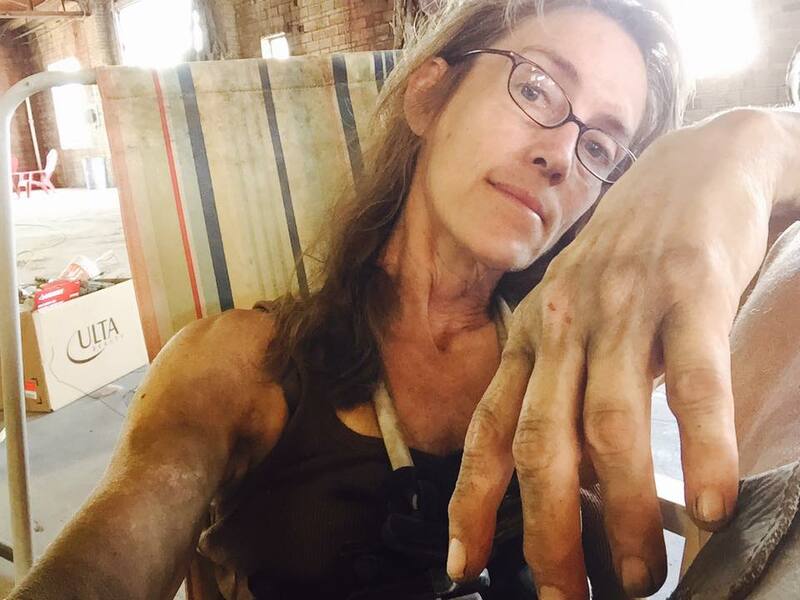 Kelley is the founding president of BOX 13 ArtSpace, a non-profit experimental exhibition and studio space in Houston, Texas. Highlights of her solo exhibition record includes Women and Their Work (Austin), Lawndale Art Center (Houston), Houston Art League, G Gallery (Houston), Darke Gallery (Houston), Louise Hopkins Underwood Art Center (Lubbock) and other venues. Her work has also been exhibited in Mexico, Peru and Spain. Kelley has also received grants from Houston Arts Alliance and Buffalo Bayou Art Park, as well as full fellowships for artist residencies at I-Park (Connecticut), Vermont Studio Centers (Vermont) and Darke Gallery (Houston). “Being in the same space with Kathy Kelley’s art is like a visit to the elephant house: one marvels at the enormity, the textures, and the smell. Her work is excessive. In the five years she has been working as a sculptor, she has produced a shocking bulk of enormous pieces. Too big to lift, too dirty to handle, too ephemeral to keep, the exterior yard of her studio in Houston is fringed with hulking mounds of slowly degenerating rubber. What’s impressive about Kelley’s work is her frightening intensity of effort. But Kelley’s home is not to be feared. Stitched and nailed and stapled together from whatever our over-consuming industrial culture has left behind, this home sweet home reads as an allegory to a new more truthful kind of personal homemaking – one that eschews the expectations of others. A comparative plug about a show Kathy was not in. “Kathryn, you may win most gracious artist award! Thank you for being such a pleasure to work with, both as an artist and host at BOX 13.